The NOROC office provides a place for staff meetings and sorting shipments of toys and other supplies NOROC receives. It includes offices for NOROC's fulltime missionary and one of NOROC's fulltime psychologists. It also is equipped to provide housing to future NOROC interns. Thanks to a generous donation by Presbyterian Women, NOROC was able to purchase an apartment to provide safe housing for girls escaping a life on the streets while they attempt to transition to a better lifestyle. It also serves as a space to provide access to computers and books as well as a spaces to host NOROC programs. Casa Noastra serves multiple functions. It serves the purpose as a boys' halfway house. 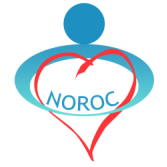 It is a refuge for young men seeking to escape toxic situations as NOROC employees help them transition into a better situation. Casa Noastra also hosts NOROC's weekly Bible study. NOROC's newest and largest property, Casa Noua is located on a large piece of land just outside of Tulcea. It is currently being renovated to provide multiple activities to children. It will eventually be a place to host NOROC's summer camps and other programs such as cooking classes. The property has many fruit trees which provide a source for delicious fruits to provide the children. NOROC is also planning to build a large playgroup complete with a sand box, swing set, and jungle gym. NOROC has big dreams and high hopes for this property.